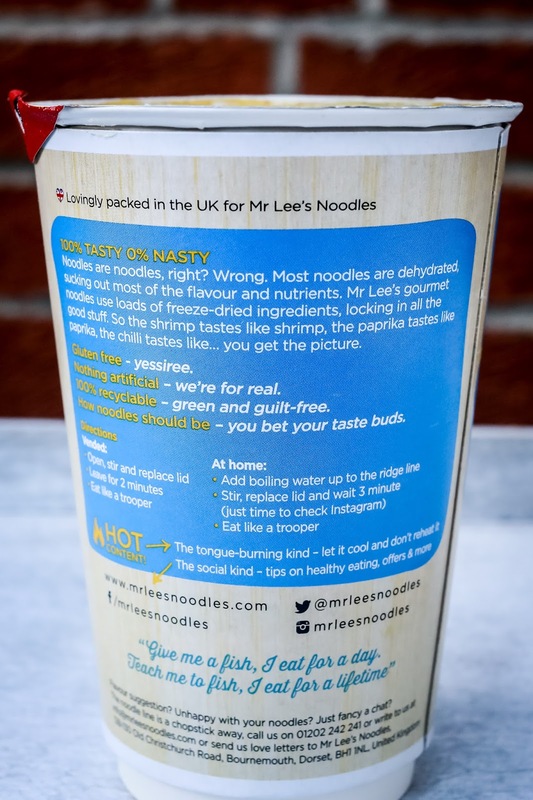 I live a life where sometimes I'm constantly on the go, I don't stay still for long and I take short cuts where possible like healthy fast food so when Mr Lee's Rice Noodles with no nasties asked if they could send me a box to review I thought they would be worthy of investigation. Now I can't remember the last time I had a pot noodle but it was maybe around 30 years ago, I've had some healthy noodles since then but Mr Lees rice noodles are the freshest looking noodles once they've been rehydrated and that's thanks to the fact that the ingredients are freeze dried, what's particularly different about them is that the ingredients actually taste exactly like they're supposed to, yes the chicken really does taste like chicken! 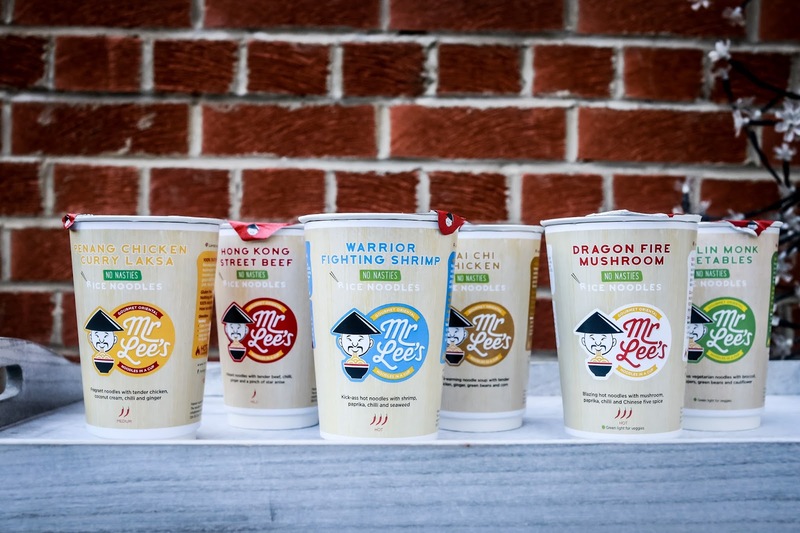 Mr Lee's rice noodles are gluten free, low in calories, salt, hydrogenated fats and sugar and they come in 6 tasty flavours, 3 of which are spicier than the others and 2 of which are completely veggie. At this point I've tried the Penang Chicken Curry Laska and the Hong Kong Street Beef and Looby had the Tai Chi Chicken which she said was like chicken ramen, it certainly smelled and looked good as that was the flavour I photographed as she waited impatiently to eat them. To do them justice I suggest decanting them into a bowl after they've cooked and eating them with chopsticks, these are gourmet noodles after all! Now I'm not by any means going to suggest that you give up eating whole foods but if you don't have time for anything but a snack then these really are a hearty bowl of fast food with real vegetables and meat in them, I never for one moment thought that they would look quite so lovely when photographed, they look like they've just been lovingly prepared and everything was fresh, honestly, you could quite easily present this to a hungry worker and they'd never know! So as I go into the next week, I have a 2 day Chinese wedding and I have a feeling that after tomorrows 12 hour day and Tuesdays 7 hour day I might just be trying the flavours I have left, I've promised to keep the veggie ones for Abigail. You won't see Mr Lee's noodles in the supermarkets but all around the country Mr Lee's kiosks are going to be popping up serving the noodles up fresh for you when you're on the go, you can even request a machine at your workplace though I think it might be slight overkill to install one in my kitchen. 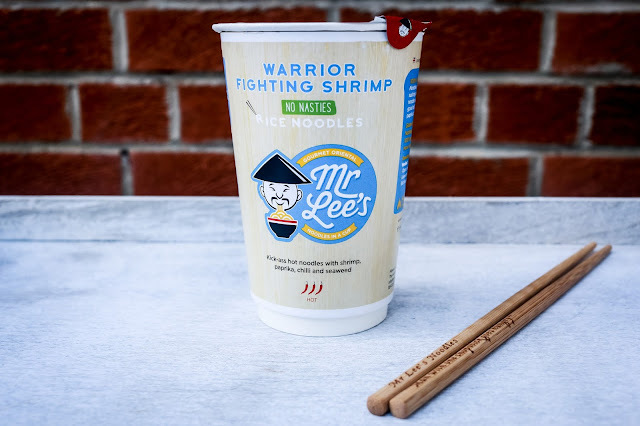 Oh and if you're wondering if Mr Lee is just a clever name, well it's not, they're named after the creator Damien Lee who whilst he had cancer craved noodles and yet couldn't find any healthy ones so he swore when he got better that he was going to invent some and he has, what a brilliant inspiring story, I find all entrepreneurs inspiring but Damien's story is just incredible and that's why I was delighted to try them and talk about them and tell you if you see those kiosks, well go grab yourself some noodles! Update - I've just heard from the lovely people at Mr Lee's Noodles that they're going to be available to purchase through Amazon from mid August and I'm thrilled about that because it means we'll be able to stock up and I think they're the perfect snack when I come from from a heavy day of shooting and all I want to do is crawl into bed whilst I'm backing up all of the images!! 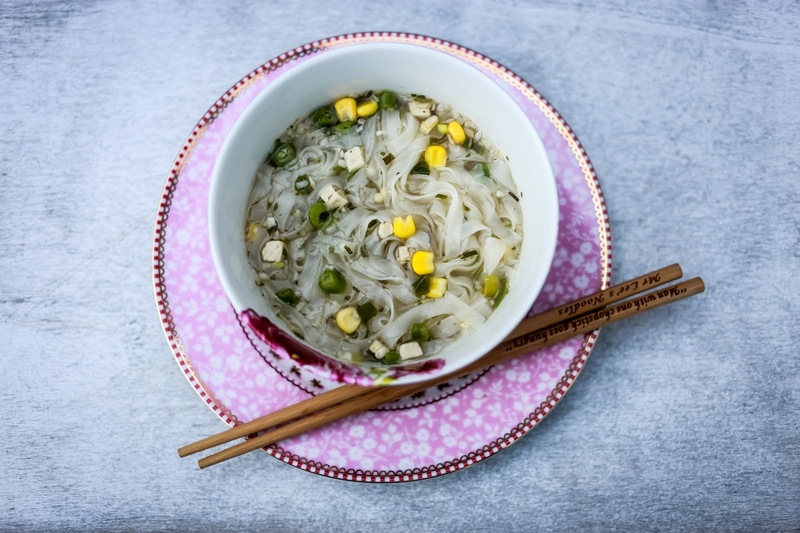 These noodles definitely have photographer approval!